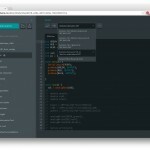 Arduino announced an acquisition today that will merge Arduino.cc and Arduino.org. The post Acquisition Ushers in New Era for Arduino; Banzi Named Chairman appeared first on Make: DIY Projects and Ideas for Makers. 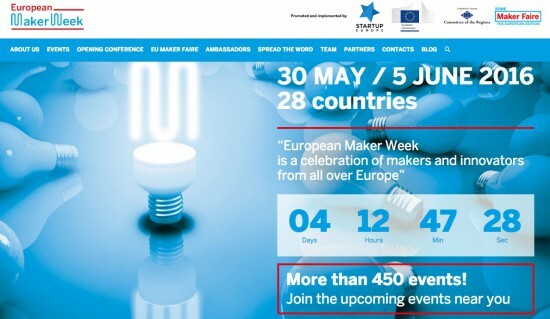 Until late 2014, there were two “Arduinos”: Arduino LLC, which took on the task developing the IDE and guiding the community, and Smart Projects, which was the manufacturing arm of the project that incidentally owned the trademark on the name “Arduino”, at least in Europe. All legal heck broke loose in November 2014, when Smart Projects changed its name to Arduino SRL (an Italian form of limited-liability corporation) and stopped funneling profits back into Arduino LLC. Arduino LLC filed for a trademark in the US, and Arduino SRL countered the filing based on their EU trademark. Arduino LLC filed a lawsuit in the USA, which resulted in two years of uncertainty about which company was the “real” Arduino, confusion in retail channels, two websites, and two versions of the IDE. It wasn’t pretty. In October 2016, the lawsuit was settled out of court. The settlement documents themselves are under a sort of non-disclosure agreement, and we were told that there are around 500 pages worth. But a very short version is that a new Arduino corporation (Arduino AG) would hold the trademark and rights to produce the boards, while the Arduino Foundation, a 501(c)(6) non-profit corporation would be established to develop the firmware and the IDE. In a nearly Solomonic decision, Arduino AG is 51% owned by the previous owners of Arduino SRL, and 49% owned by the previous Arduino LLC principals. 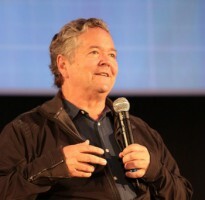 Federico Musto, the largest shareholder of SRL, is now Arduino AG’s CEO, and Massimo Banzi, the largest shareholder in LLC, is picked to be the Arduino Foundation’s president. So there are still two “Arduinos”, but their incentives are now aligned instead of adversarial. Arduino AG owns the trademark, manufactures the boards, and makes the money. 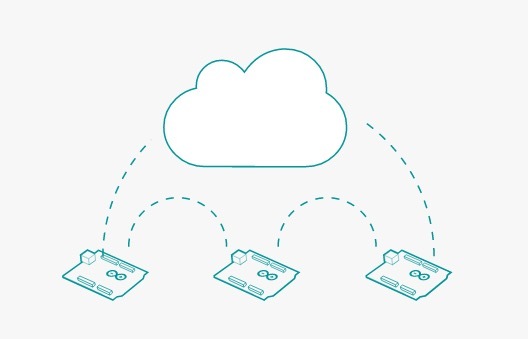 The Arduino Foundation will be funded by at least Arduino AG, but also by any other stake-holders in the Arduino ecosystem that wish to contribute. 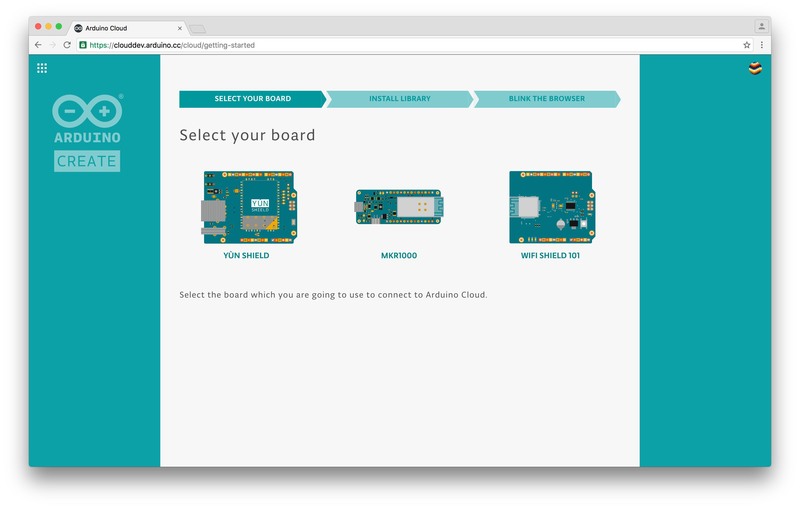 Arduino AG is now in a sense just a company that makes development boards, while the Arduino Foundation is in control of the rest of what makes Arduino “Arduino”: the non-tangible environment. As a result, the community should care a lot about the Foundation. The choices made there will change your programming experience most directly, and if you’re interested in contributing code to the mainline distribution, the Foundation will be the gatekeeper — as much as there can be a gatekeeper in entirely open source software. 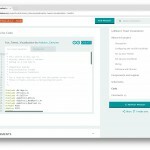 So why is setting up the Arduino Foundation taking so long? We’d claim it’s not, and that the signs from both parties indicate that it’s on the right track. First of all, Musto and Banzi were in an existential fight over control of the ownership of “Arduino” for two of the last two-and-a-half years. As of January 2017, they became part owners of the Arduino AG holding company, but that doesn’t mean they instantly started getting along. It’s no surprise that there’s at least half a year’s worth of trust-building to do between the two. Add to these personal issues that the Foundation was not the top (legal) priority. Banzi mentioned that, of the 500-page settlement, the Arduino Foundation was one of the last items on the list, and that the settlement wasn’t extremely detailed in that regard to begin with. So there was a lot of work to do, and it was put off until the prioritized stuff was out of the way. We were told that there’s no deadline in the settlement, and in reality, they haven’t been working on the Foundation for more than four months so far. Add in some time for lawyering, and IRS accreditation, and we would forgive them for taking until the end of 2017. Let’s hope it’s sooner. Finally, both Banzi and Musto are very candid that this is the first Foundation that either of them have ever set up, and that it’s an important one. Nobody wants to get this wrong, and both are looking to other successful open-source Foundations for inspiration and guidance. Both mentioned the Linux and Mozilla foundations as models. This suggests that there’s going to be a mix of developer, user, and manufacturer interests all coming together. And it suggests that the founders are doing their due dilligence instead of just slapping something together. 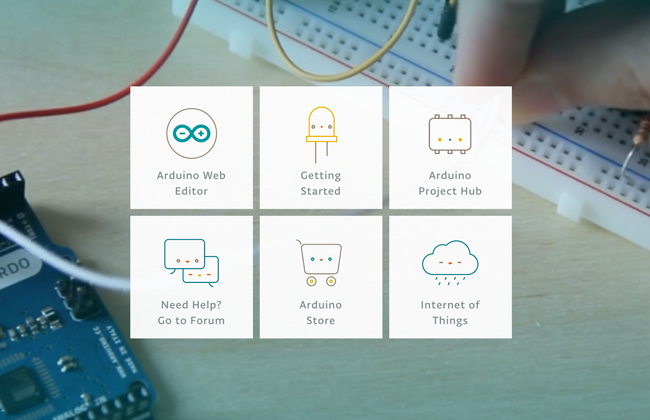 So what can we expect from the Arduino Foundation? Neither Banzi and Musto were able to guarantee anything specific, because they’re still under discussion. Still, there was a reassuring degree of overlap between what Banzi and Musto said. It sounds like they’re getting there. If you’re interested in the future of the IDE, Banzi’s recent article on the near future is probably a good roadmap, and there’s a lot to like: separating the cross-platform code from the device-specific code (“Project Chainsaw”), and re-thinking the split between the high-level and low-level APIs sounds great to us. 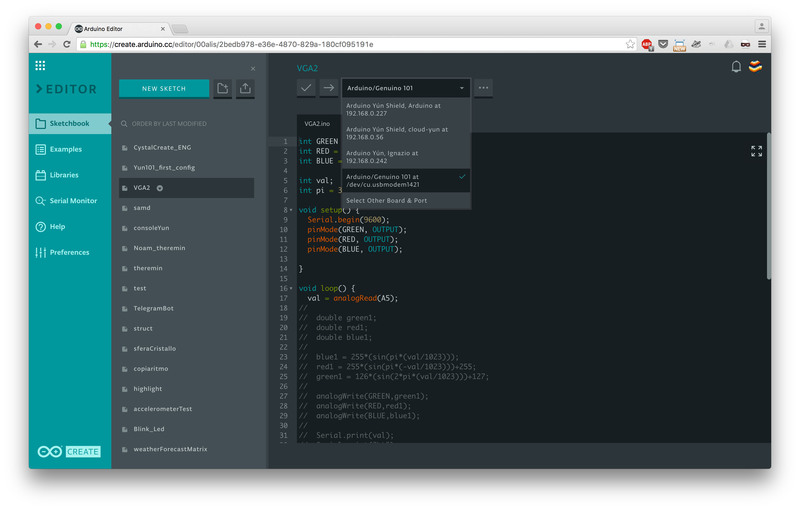 Adapting the Arduino pre-processor and toolchain to work with more modern workflows (clang on LLVM) is a huge win. Musto mentioned making the IDE more modular, so that any given part of it could be easily called by external code. As for the organization itself, it’s likely that there will be an executive board, with half appointed by Musto and half by Banzi, that will run the show. In addition, Musto floated the idea of a few advisory boards, potentially split along lines of hardware manufacturers and firmware developers. He repeatedly said, as he was airing these possibilities, that it was up to Banzi as president to decide in the end. For his part, Banzi declined to speak on any specifics until they’d hammered the details out. In whatever form, we wouldn’t be surprised if representatives from Intel, ST, Nordic Semiconductor, and other chip manufacturers who make Arduino boards have a seat at the table. We’d also like to see the developer community pulled in and given a formal voice somehow. Both Musto and Banzi seem committed to extreme transparency in the Foundation. Musto mentioned that the Foundation’s financials should be viewable online every month. Banzi is proposing to pre-release the Foundation’s charter. Musto is considering having Arduino AG donate to the Foundation in proportion to Arduino sales, and allowing the purchasers to earmark their portion of the donation toward a specific project as a form of radical democracy. Both Musto and Banzi said the word “open” more times than we could count in the interviews. Given Banzi’s history as an open source hardware pioneer, and Musto’s financial incentives to keep the Arduino train on the tracks, we have little reason to doubt their intentions. 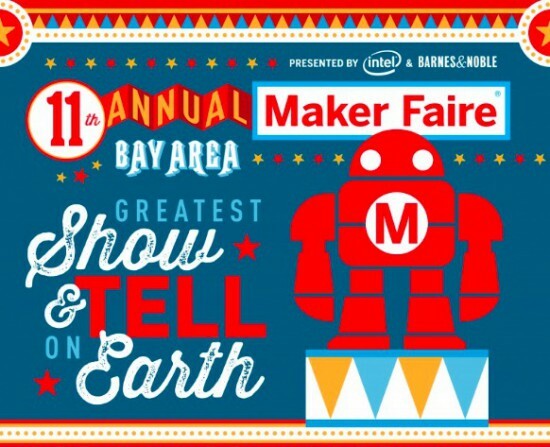 Meanwhile, Dale Dougherty, the founder of Make Magazine, wrote a piece in which he calls for a “Free Arduino” Foundation, where the Arduino community can jointly determine the future of the little blue boards and their programming environment. Half of the article consists of personal attacks on Federico Musto. Ironically, it was Musto himself who first proposed creating an Arduino Foundation as a neutral party in charge of the IDE, and as a means to funnel money back to the people contributing most to the ecosystem — the developers. Nowhere in the post does Dougherty mention Banzi’s role in the Foundation. In addition to Dale Dougherty’s post on Make, Phil Torrone of Adafruit made a few posts last week that suggested, vaguely or otherwise, that the future of the IDE was being “steered off a cliff” or otherwise hijacked by the Foundation because of Musto’s participation. 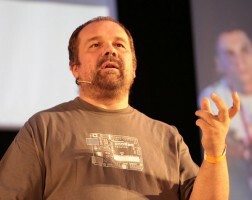 He interpreted Dougherty’s post as calling for a grassroots, developer-based Arduino Foundation. We asked both Massimo Banzi and Federico Musto what they thought about the call for a Foundation fork. Neither of them had talked to Dougherty or Adafruit about the Foundation, and both felt blindsided by their accusations. Banzi was quite dismissive of the “Arduino is no longer open source” argument, stating that once code is out there with an open license, it can’t be taken back. If Arduino steers off a cliff, just roll back a few versions and fork. Banzi felt like the argument was insulting the last decade of his, along with the other early founders’, work. He would not comment on Dougherty’s article, saying instead that he’ll talk with him later. The elephant in the room is Musto’s alleged fabrication of his previous academic credentials, which he has since retracted. It certainly does raise the question of whether he is trustworthy. But with Banzi still involved and slated to take the helm of the Foundation we see more reasons for hope in the future than not, or at least a reason to wait and see. 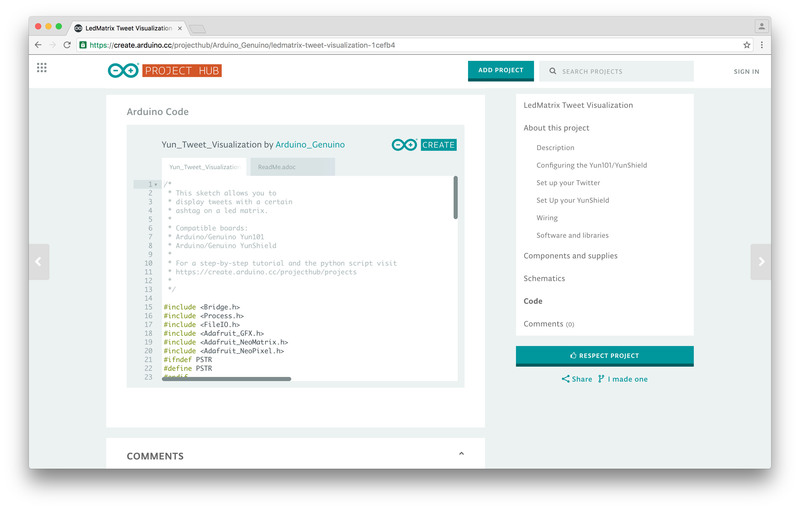 Is the Arduino Foundation run by insiders? Of course it is. Who other than Massimo Banzi would you appoint to run it? And you have to give the Arduino AG CEO a seat on the board, not the least because they own the trademark and the software needs to run on their hardware. Banzi and Musto display every sign of wanting to get it right: keeping it open, transparent, and responsive to both the community and industry. 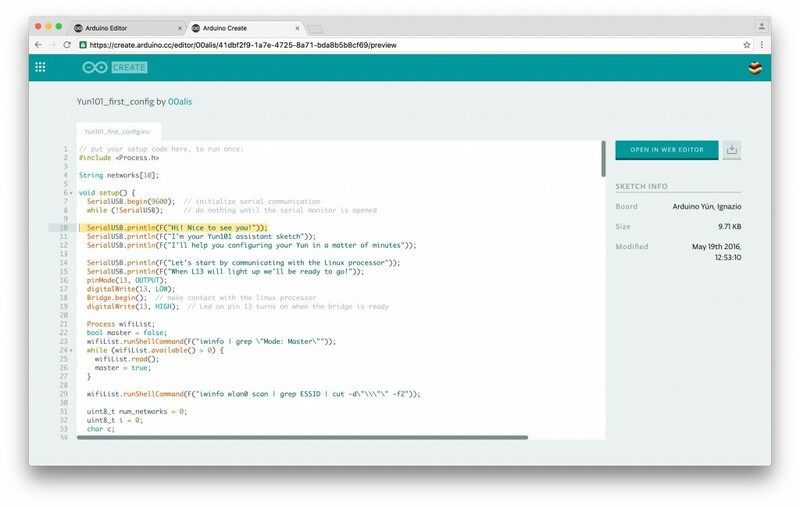 Arduino’s code acceptance over the last twelve years hasn’t always been exactly transparent either, and many parts of the IDE could use a fresh coat of paint. It’s easy to idealize the past, but looking to the future, a Foundation which brings numerous and diverse stakeholders to the table can help refresh stale perspectives. Banzi’s roadmap for the IDE is solid. With some more good ideas, and money to back them up, the Foundation could be the best thing that’s ever happened to Arduino. 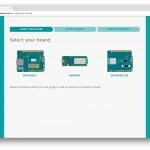 Arduino.cc and Arduino.org have signed a settlement agreement that reconnects the two divisions into one group. The post Arduino.cc and Arduino.org Reconcile with Settlement Agreement, Become One Company appeared first on Make: DIY Projects and Ideas for Makers. 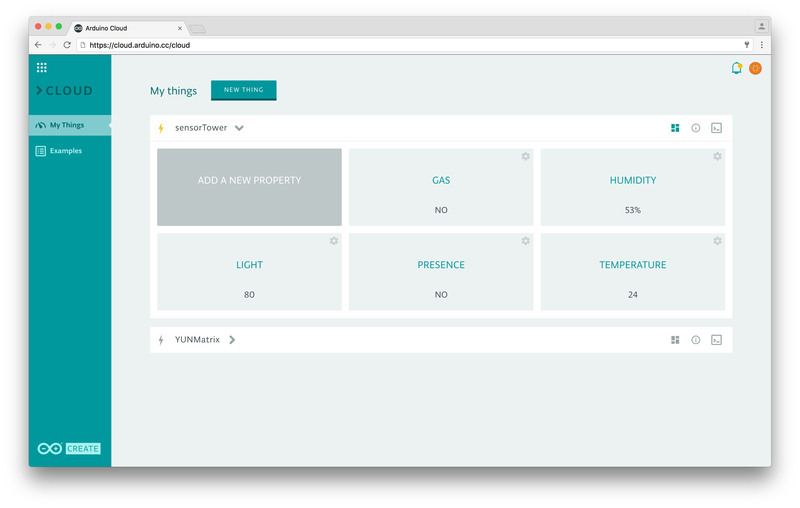 Back at Arduino Day 2016, Massimo Banzi explored the true meaning of the Internet of Things in a more philosophical, approachable way. 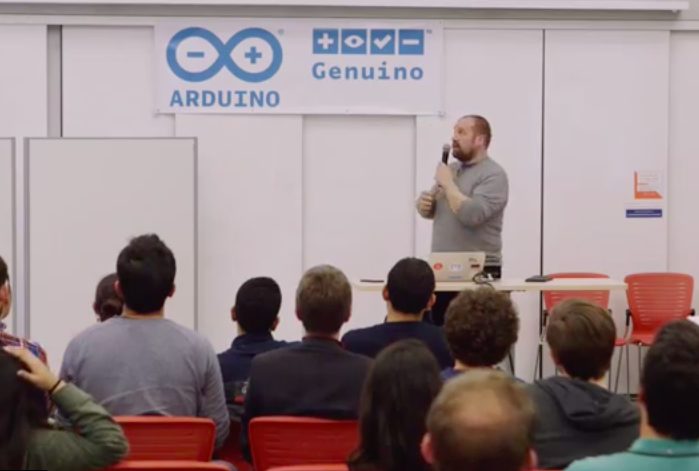 During his presentation, the Arduino co-founder touched upon the current state of the industry, some guiding principles, as well as what the future may entail. You are currently browsing the archives for the Massimo Banzi category.